Luang Prabang, Laos | a unique blend of French colonialism and Buddhism. 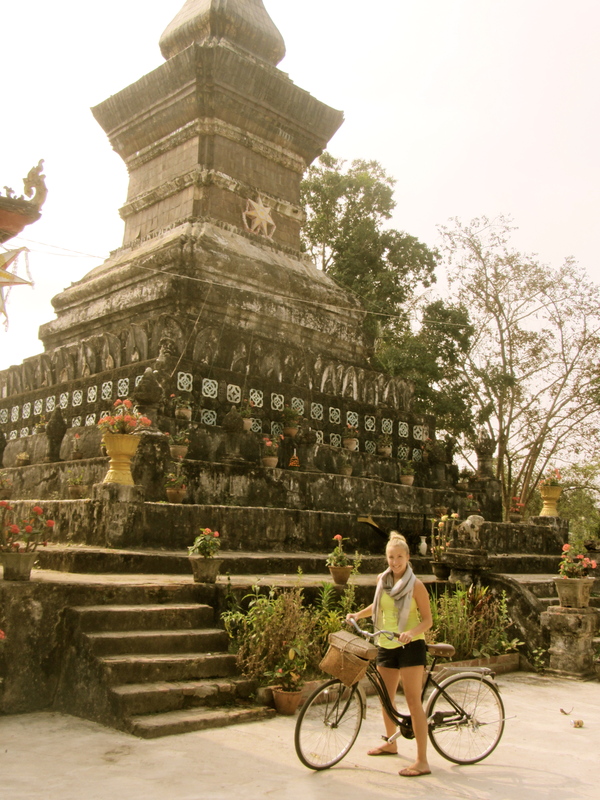 We traveled to this hillside town, that I had barely heard of before moving to Southeast Asia, in February of 2013. I had no idea what to expect, and to be honest, I didn’t do too much research. I wish I had; it got cold at night and I was not prepared! We arrived at this quaint airport that really only had room for one airplane at a time, and were greeted by the forever smiling hotel hostess. Immediately I knew I was going to love it here. Learning even just a few phrases in the native tongue made the Laotian people so happy. It was by far our favorite language to try to learn, because nothing could beat the response we would get from the Laotian people. 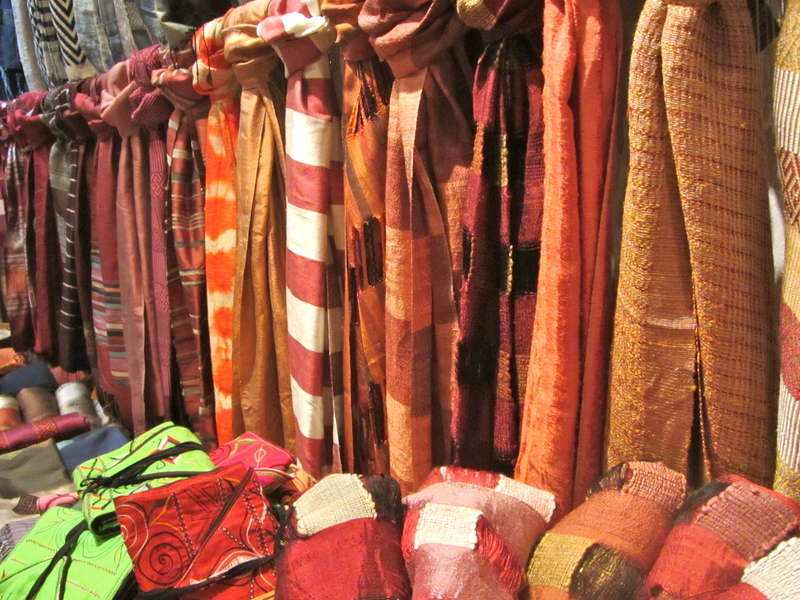 My favorite part of Luang Prabang was the unique shopping. From antiques to silk to wood carvings, you could decorate your entire house on this one trip. As you may or may not know, I have a thing for shopping. Nothing made me more excited than to shop in this quiet town to find pieces that I will never be able to find again, and no one will have back home. It truly is special. 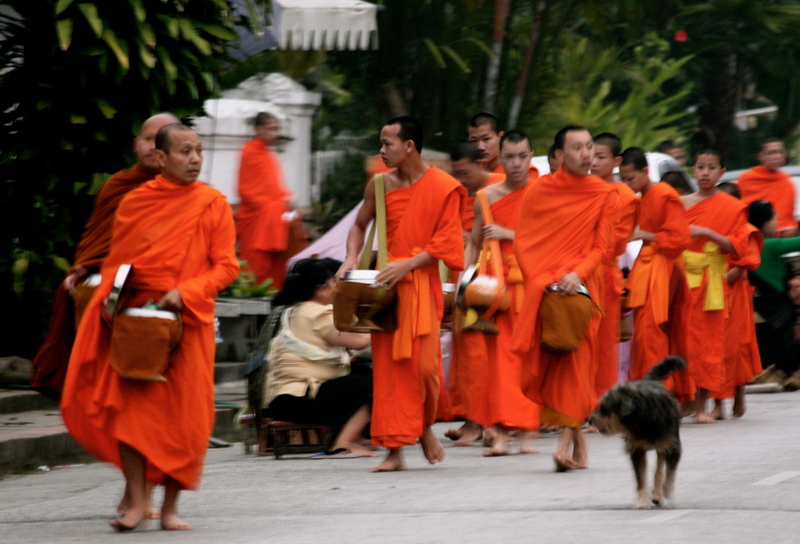 Be sure to wake up before sunrise to watch the Alms Giving Ceremony through the streets. Please do not be the tourist taking flash photography of the monks during their daily ritual. Just observe and take it all in. If you are more interested in getting a good shot, you will miss out on the true peace of this tradition. The Wats we toured through were absolutely stunning, and I had to keep reminding myself how old these structures were. Leave your shorts and tank tops at home, and please observe the conservative traditions here. Long pants are best. In fact, if you are in shorts and tanks tops, they will ask you to borrow shawls to cover up! Take a day to sail down the Mekong River and visit local villages. We were able to visit silk villages where we saw our scarves being made. Absolutely unbelievable. 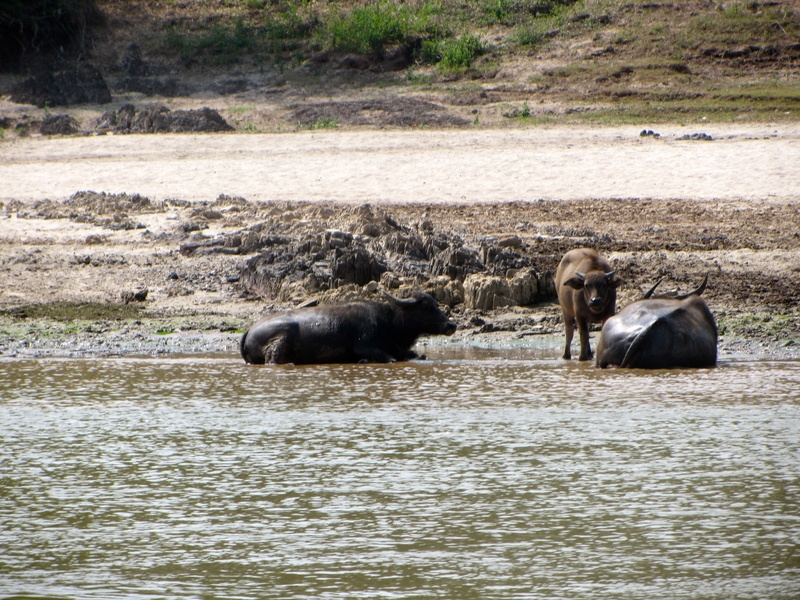 You will also see lots of water buffalo, which no matter how many we would see, would always leave me fascinated. The food in Luang Prabang was delicious! If you like French food, you are in for a whole lot of wonderfulness! Our favorite, which we may have gone to twice was L’Elephant Restaurant. 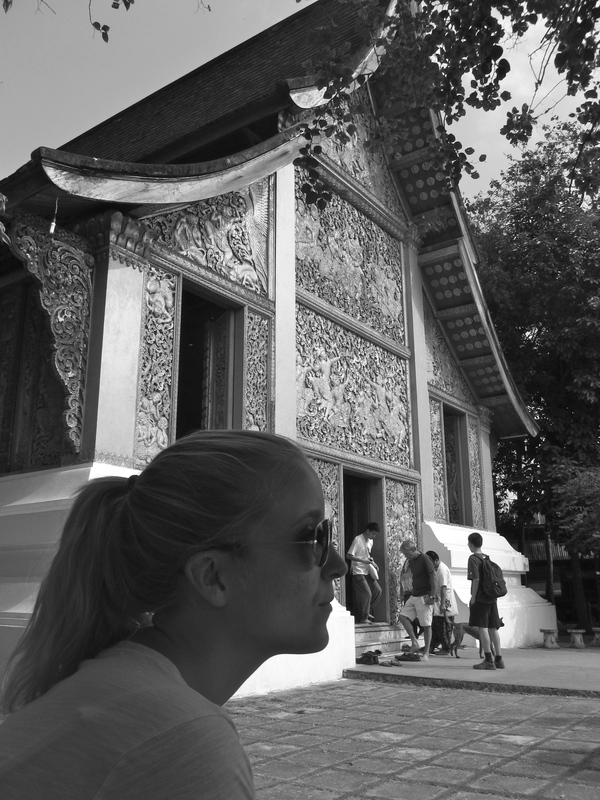 On the Mekong River you will find tons of places to eat, all in gorgeous French country style buildings. Do not drink the water! You have to be very careful when eating in places like Laos. Your body is not immune to the bacteria which could leave you out of commission for a bit. Make sure everything is cooked, so no raw veggies! I can thank my sister-in-law for teaching me this, as I typically would think raw veggies and salad are safe. And never, ever skip dessert. The Satri House, Luang Prabang | $$$$ Perfect. This hotel felt more like a home. In fact, it used to be! Home to Prince Soupha-nouvong. This hotel was my inspiration for my future home. Beautiful. The staff was not only accommodating, but they really got to know you. They helped us with our Laotian every morning at breakfast, while we thoroughly enjoyed the amazing croissants. The location was great, leaving you in a central location for bike rides to the river and into town. Tuk tuks were always there when we needed them. Adorable tuk tuks I must add!